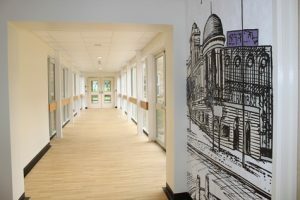 Our award winning, state of the art, Dementia assessment unit provides 24-hour care to support you with behavioural and psychological symptoms associated with dementia. 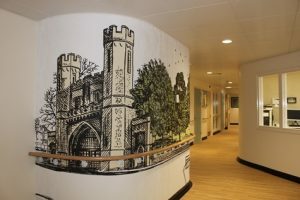 Assessment and treatment is provided by our dedicated multidisciplinary team which includes consultant psychiatrists, nurses, physiotherapists and occupational therapists. Sometimes we have students or trainees on placement that may also work with you. Our Dementia assessment unit has been awarded a national gold award by the leading Dementia Services Development Centre (DSDC) at Stirling University. For further information view our press release. 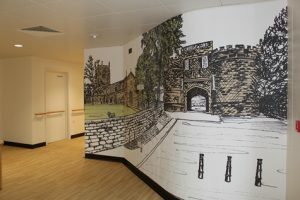 Our dementia assessment unit moved to a purpose built unit at Lynfield Mount Hospital, Bradford in August 2015 and was previously based at Ward 24, Airedale General Hospital. Referrals are accepted from GP’s, community mental health teams, or an allocated consultant. 2.00pm – 4.30pm and 6.00pm – 7.30pm. If you are unable to visit in these times, please discuss with the ward manager. 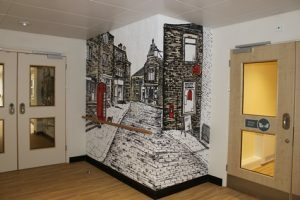 On 30 August 2016 Bradford District Care NHS Foundation Trust launched John’s Campaign as part of its plans to improve patient experience and make the Trust more dementia friendly. In accordance with John’s campaign, we work hard to accommodate visiting when it best suits the family and carers. If you want to arrange visits to see your loved one outside of the usual 2pm – 4pm or 6pm – 8pm times, please chat with a member of staff so this can be arranged.